The study was carried out after it was “accidentally found” that by-products of antibiotic production (dried Sreptomyces aureofaciens broth) which contain a high level of vitamin B12, when fed to poultry animals resulted in higher growth. “Eventually, it was discovered that the trace amounts of antibiotics remaining in these byproducts accounted for this growth. 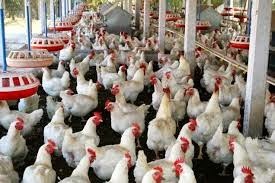 Since then the antibiotics have been used on poultry in large quantities to enhance production in poultry”, the study underlines. A total of 70 chicken samples were tested in two phases from different markets of Delhi National Capital Region NCR region -- Delhi, Noida, Ghaziabad, Gurgaon, and Faridabad. These chicken samples were analyzed for the presence of antibiotics in two phases. In 14 samples, both muscles and liver were tested. In four samples, muscles, liver and kidney were tested. In the remaining 52 samples only muscles were tested. “Each sample was analyzed in triplicate”, the study, carried out by a group of experts -- Ramakant Sahu, Poornima Saxena, Prof (Dr) H B Mathur and Prof. (Dr) HC Agarwal -- says.